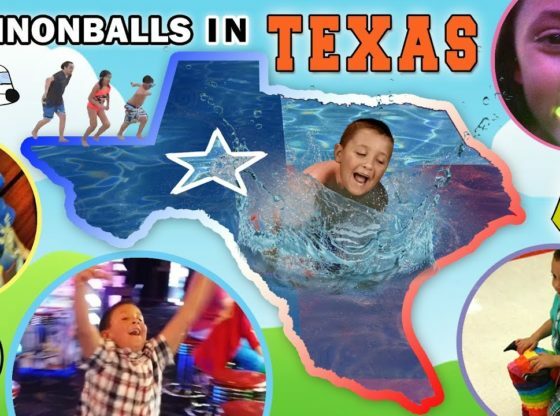 CANNONBALLS in TEXAS! Sky Kids go to MEGA ARCADE! FUNnel Vision Family TX Trip Part 1 Vlog | Corpus Christi Rocks!